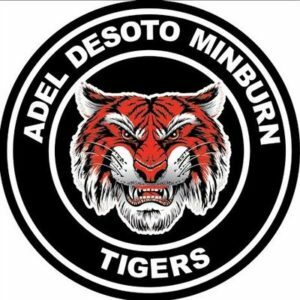 The sophomore ace pitcher of the Adel-Desoto-Minburn Tigers softball team is making a case as the top arm inside the Raccoon River Conference this summer. Hlas’s tops the entire state of Iowa with 121 innings pitched, 511 batters faced, and 147 strikeouts. Her 17 wins in the circle are seven more than any other pitcher inside the Raccoon River Conference. The Raccoon Valley Radio Network was on hand as Hlas recorded a career-high 16 strikeouts against the Carroll Tigers in a 12-1 victory on May 23 and has fanned eight or more batters in 10 contests so far this season. The No. 4 ADM softball team resumes their season tonight in Jefferson against the Greene County Rams. Live play by play coverage can be heard on Raccoon Valley Radio’s KG 98.9 with pregame comments starting around 7 p.m.